Located on 7-acres, Blue Heaven Island offers a restaurant, free airport transfers and sun loungers overlooking the water. Guests enjoy free snorkelling and kayaking. All bungalows offer lagoon views. 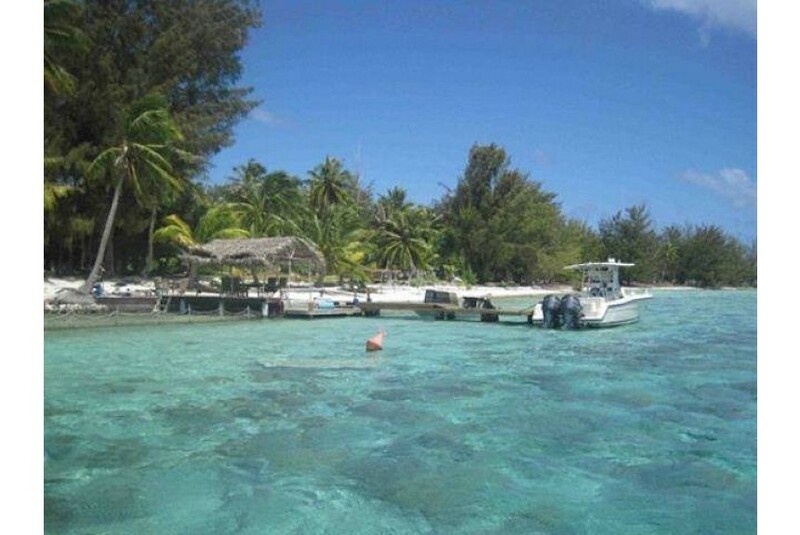 Motu Paahi Blue Heaven Island is located 10 minutes’ via ferry from Bora Bora Airport. The shops and restaurants of Vaitape city are also 10 minutes' boat ride away. There are beautiful coral reefs within 5 minutes’ walk. Surrounded by lush tropical gardens, each of the bamboo bungalows offers traditional décor. All include private bathroom facilities, a large wardrobe and a ceiling fan. The restaurant offers European and Pacific Islands’ cuisine. Meals are served in the open-air "Fare Pote'e", in the gardens or on the pontoon above the lagoon.